The Las Vegas water utility has already run into trouble with its new pipe from Lake Mead — known locally as “the third straw.” Ratings agencies downgraded nearly $2 billion of debt in 2011 amid declining water revenues, according to a December 2012 report from Ceres. Similarly, Moody’s put Colorado Springs’ water utility on watch for a possible downgrade for awhile in 2012, thanks in part to a nearly $1.5 billion capital program to funnel water from the Arkansas River, a tributary of the Mississippi. Another desalination plant permitted for Carlsbad, Calif., may never get built for the same reasons. High costs — ballooning from $300 million in 2002 to nearly $1 billion in late 2011 — and the availability of less-expensive alternatives have brought into question the wisdom of project financing, according to a recent report by the local San Diego County Water Authority. The paradox facing water districts is how to create a rate structure that continues to incentivize conservation but also covers costs.More utilities are also using tiered pricing to encourage conservation, charging customers increasingly more per unit of water as their water use increases. The first, say, 5,000 gallons are inexpensive. But the next 5,000 gallons will cost more, and so on. 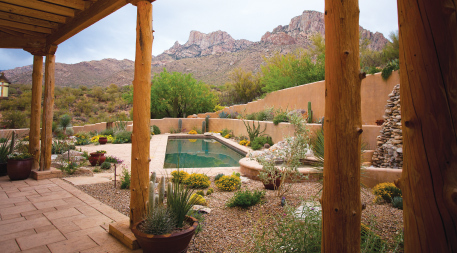 By adopting xeriscaping and other water conservation strategies, Tucson, Ariz., residents have reduced their daily water draw from 200 gallons per person in the 1980s to 130 gallons today.